Castlemoor Farm based in Shropshire provide one of the best Pig Roast & Hog Roast services in the UK. 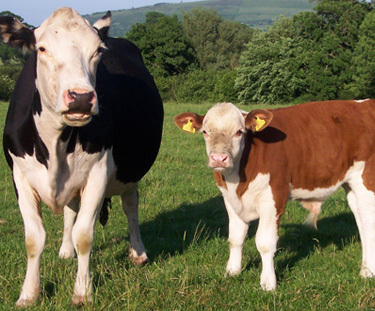 Castlemoor farm is a family run farm off the beaten track in the Corvedale between Much Wenlock and Ludlow. We are based near Bridgnorth & provide our service throughout the Shropshire, Staffordshire, Warwickshire, Worcestershire, Herefordshire, Radnorshire, Montgomershire, Denbighshire and Flintshire areas. In the wake of the foot and mouth crisis, we decided to diversify, to directly sell our produce to the public. We aim to provide local meat that is 'all from our own farm' reared and slaughtered as locally as possible. Our produce can be found at our shop in the market hall in Shrewsbury and at local farmers markets. In addition we also provide an excellent hog roast service. Our sheep graze out all year round and are only brought in for lambing (if necessary ). We also sell locally sourced free-range Chicken And Game (we are Licensed Game Dealers). Due to reduced returns at the shop, the returns from and the number of Farmers Markets declining, and the orders from, and the number of our Pub and Restaurant customers drying up during the period of 2009-2010, we took the hard decision to cease our farm meat operations and concentrate on our hog roast service. We would like to give our heartfelt thanks to all our regular customers and apologise for letting them down, however we would still be happy to offer a hamper service, please contact us for details.